Another non-soundtrack, but too cool not to post. 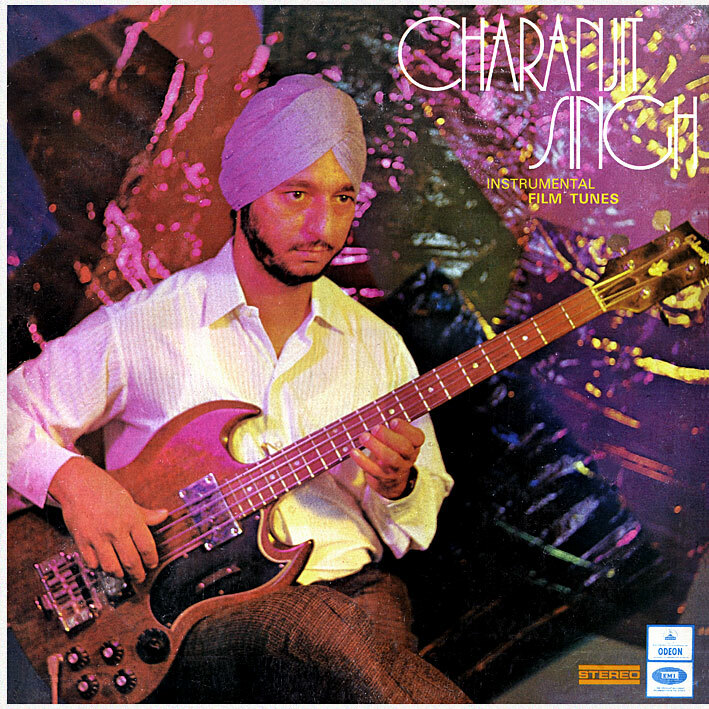 I featured brilliant instrumentalist Charanjit Singh before when I came across an EP of instrumental versions of RD Burman tunes and despite not expecting to, loving it to bits. This is the full length follow up to that record, and it's even better. I'm not sure how although I suspect his choice of lead instruments has something to do with it, but Charanjit breathes (new) life into every song he tackles. And it's not as if many of these even need it. There isn't a dull moment on the album; old favourites such 'Chura Liya Hai Tum Ne' and 'Hey Mujhe Dil De' sound as fresh as ever, and 'Aaya Hoon Main Tujhke Le Jaoonga', the original of which I initially deemed "less than memorable", is mesmerizing and I can't believe what I was thinking the first time around. Great fun instrumental pop in a lounge-surf-accordion-garage style by the guy who made 'Ten Ragas To A Disco Beat'. Thanks a bunch. Singh's "Ten Ragas..." is indeed a milestone classic. I'd be happy if you could find any other vintage electronic music from India. So would I actually, although I'm not aware of much else. A few of the music directors (RD Burman in particular) played around with electronics on movie soundtracks in the 70s/early 80s.